inquiry and active learning. If we want students to take responsibility for building their own understanding of science, they need to develop an understanding of what science is. In this study, we look at pre-service teacher classes in physics, one of which uses computer-based laboratories extensively. The context presented is one-dimensional motion, which is covered in the computer-based class with motion sensors interfaced to computers. We consider student performance in an interview setting and on an examination problem. Steinberg, R. (2003). Effects of Computer-based Laboratory Instruction on Future Teachers’ Understanding of the Nature of Science. 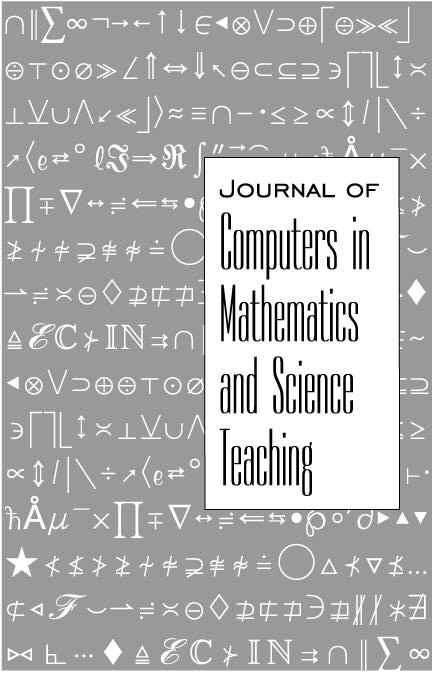 Journal of Computers in Mathematics and Science Teaching, 22 (3), 185-205. Norfolk, VA: Association for the Advancement of Computing in Education (AACE). Retrieved April 22, 2019 from https://www.learntechlib.org/primary/p/12788/. Goldberg, F. (1997). Constructing physics understanding in a computer-supported learning environment. AIP conference proceedings, 399, 903-911. Hammer, D. (1994a). Epistemological beliefs in introductory physics. Cognition and Instruction 12(2), 151-183. Hammer, D. (1994b). Students’ beliefs about conceptual knowledge in introductory physics. International Journal of Science Education, 16(4), 385-403. Laws, P., (1991). Calculus-based physics without lectures. Physics Today 44(12), 24-31. National Research Council (1999). How people learn: Brain, mind, experience and school. Washington, DC: National Academic Press. Papert, S. (1980). Mindstorms: Children, Computers, and Powerful Ideas. NY: Basic Books, Inc.
Pea, R.D. (1993). The collaborative visualization project. Technology in Education, 36(5), 60-63. Steinberg, R.N. (2000). Computers in teaching science: To simulate or not to simulate? Physics Education Research Supplement. American Journal of Physics, 68, S37-S41. Trowbridge D.E. And L.C. McDermott (1980). Investigation of student understanding of the concept of velocity in one dimension. American Journal of Physics, 48, 1020-1028. Trowbridge D.E. And L.C. McDermott (1981). Investigation of student understanding of the concept of acceleration in one dimension. American Journal of Physics, 49, 242-253.